The Eva Nursing Top is a must-have for the ultimate off-duty weekender vibe. This super slouchy, ultra comfortable oversized top features Dolman sleeves and an overlay for easy nursing. 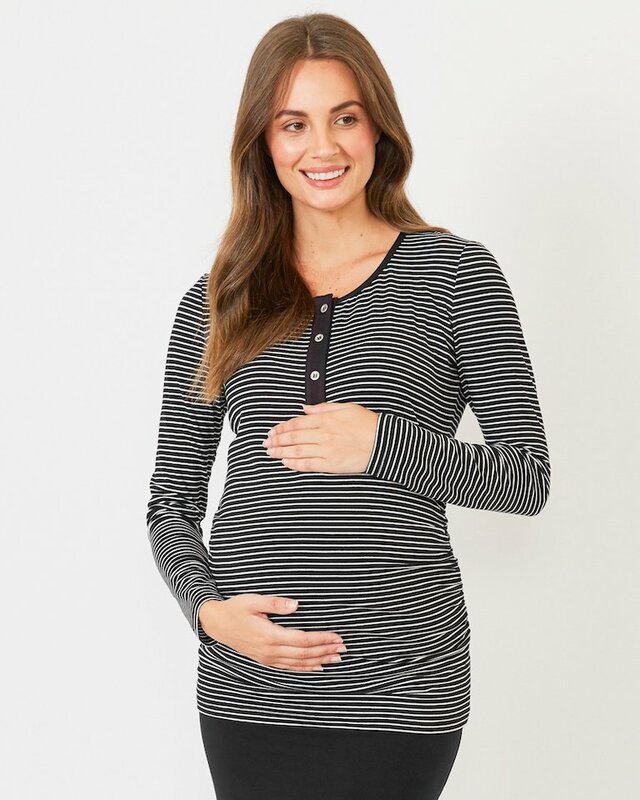 This is a top that can truly be lived-in throughout pregnancy, nursing and beyond. We love to pair it with the Jaya slouch pant for errand runs and lazy days!